Semi-winter dormant Titan 5 is an exciting new lucerne variety combining Medicago sativa and Medicago falcata genetics. The introduction of new genetics provides persistence, additional drought tolerance and water use effciency over traditional Medicago sativa varieties of similar dormancy. 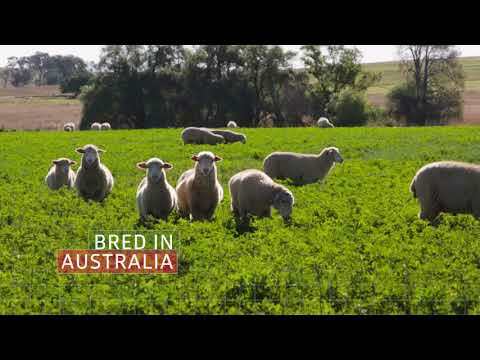 It is bred in Australia to suit the Australian climate. Look out for it in trials and demonstrations this season. Trials across Australia have shown Titan 5 to have excellent adaptation to a wide range of climatic conditions, as a very productive dormancy 5 variety. Titan 5 is a very persistent lucerne in its category, due to its Medicago falcata material possessing winter hardy and drought tolerant traits. Titan 5 is also a high yielding lucerne that possesses early growth, a trait not common in dormancy 5 categories. The new Titan 5 lucerne establishing well in the Central Victorian Highlands.